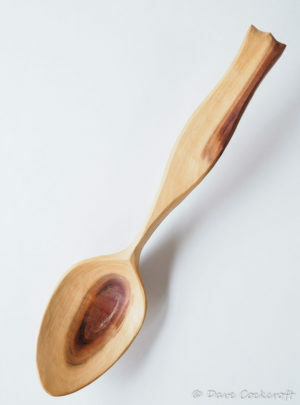 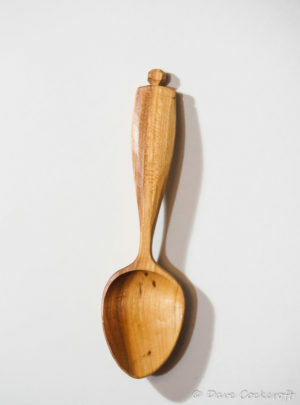 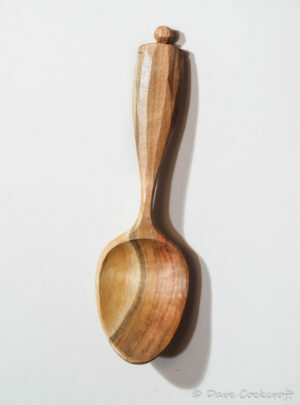 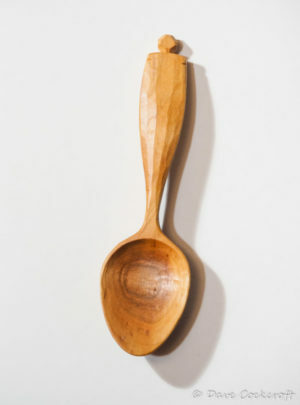 A robust pocket sized eating spoon or could even be used as a large scoop. 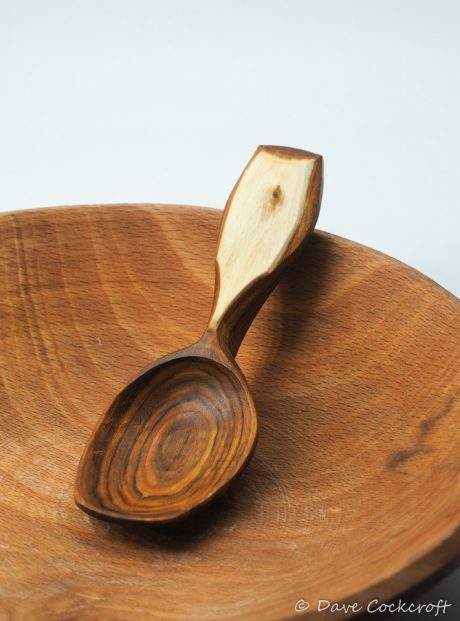 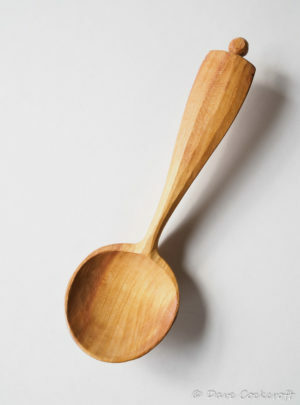 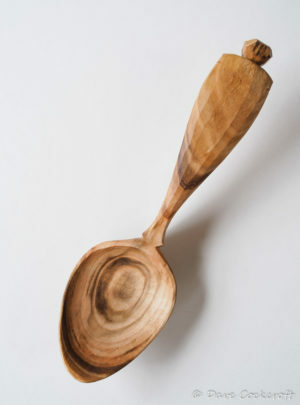 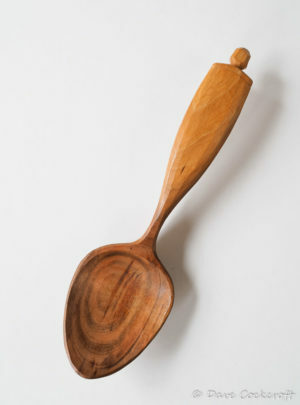 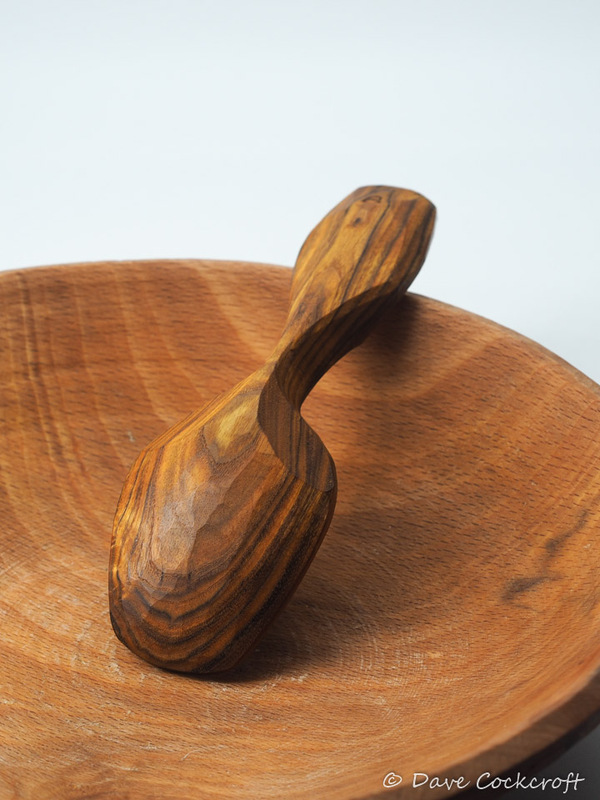 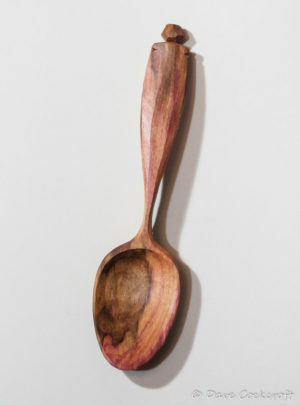 The sapwood top to the handle provides contrast to the dark rings of the bowl. A cheeky know peeks through to the surface.